You’re about to discover the writing and publishing formula I used to publish several best-selling books. Simply put, Self Publishing Success is the most powerful guide to writing a book available. Not only will you be able to self-publish the book, but we will also go over tips for marketing a book to make sure it gets the most exposure possible. This guide is a no-fluff, action-packed audiobook for aspiring authors who want to learn the methods I’ve used and developed to publish several Amazon best sellers and make a full-time income from my book sales alone. It has taken me several years of research and testing to organize all of the information in this guide. I’ve read every book out there on the subject, taken every course, published books for others, and eventually started self-publishing myself and then started a publishing company. I’ve tried many tactics when it comes to self-publishing, many of which didn’t work. In this guide, I am only sharing the best things I’ve learned...from how to choose the right type of book...to the outline to writing a book...to marketing your book...to creating a book series around your niche that will generate passive income for you for years. Learn the exact methods professional authors use to publish their books. Self Publishing Success has a simple goal. Let’s help you get from your rough idea for a book, to the outline, to the draft, to the fully optimized and published version. You will learn the steps in writing a book and getting published quickly and being professional-level quality. A blueprint for creating a best-selling book. Publishing a successful book is the goal, no matter what type of book it is. Success can mean different things for different authors, but the end result is a polished and published book that can generate passive income every month and give you celebrity status in your industry. All you need is a proven step-by-step path of how to write and effectively sell your book. 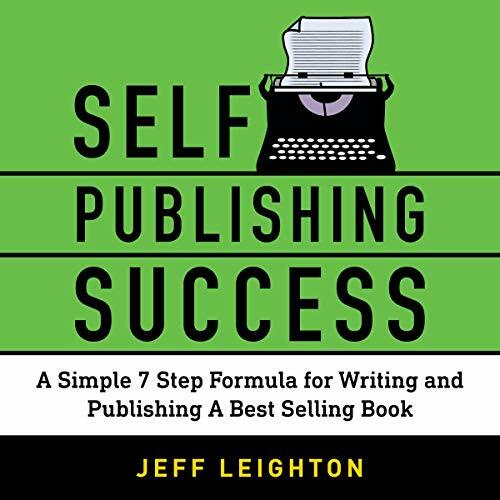 Begin the journey to becoming a successful self-published author with this book. Learn the simple process for writing and self-publishing your book by clicking the "Buy Now" button at the top of this page!